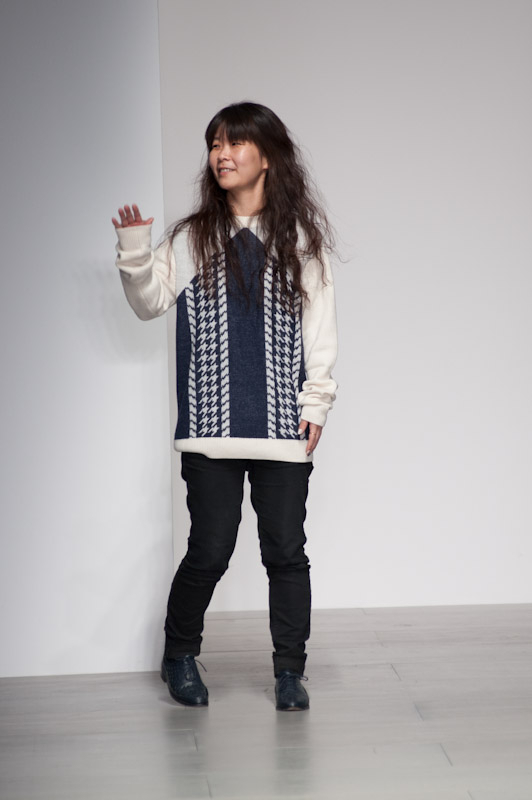 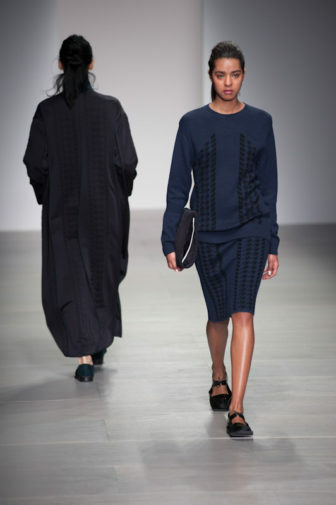 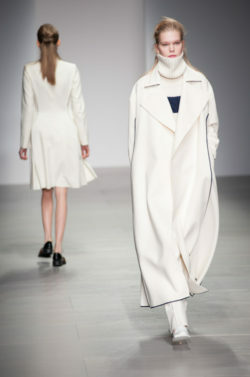 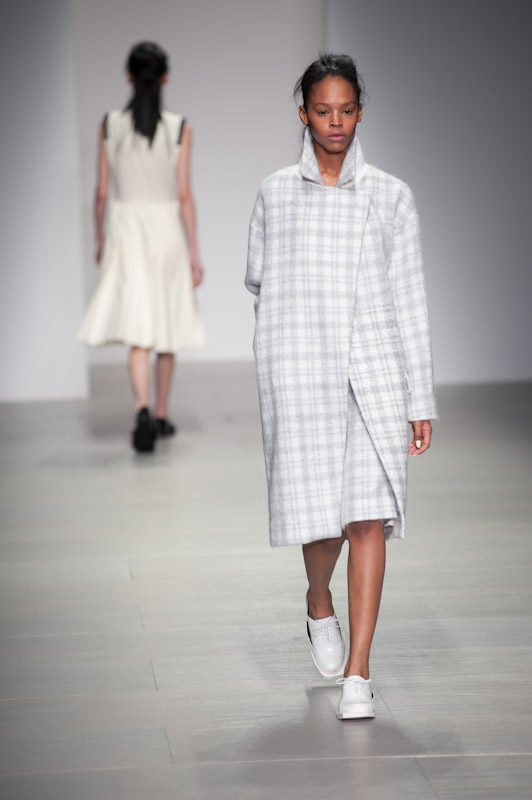 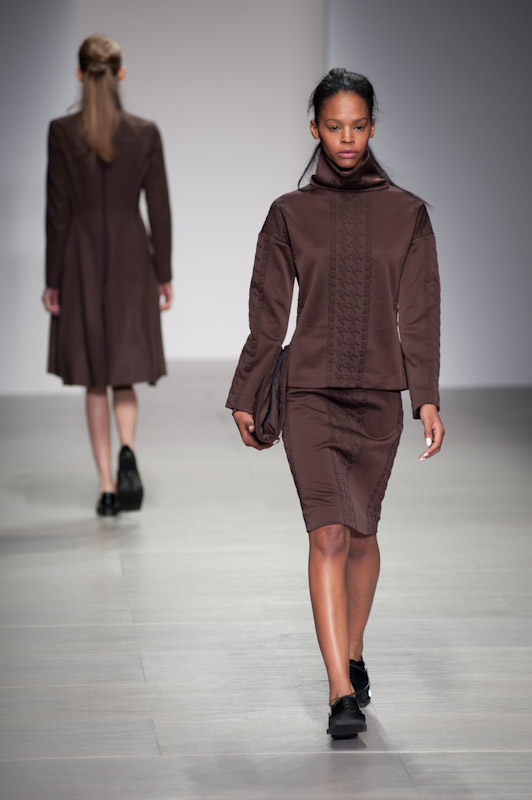 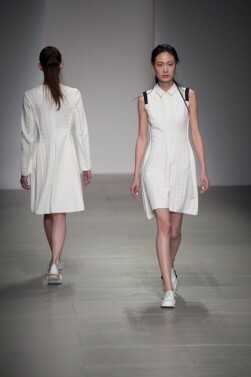 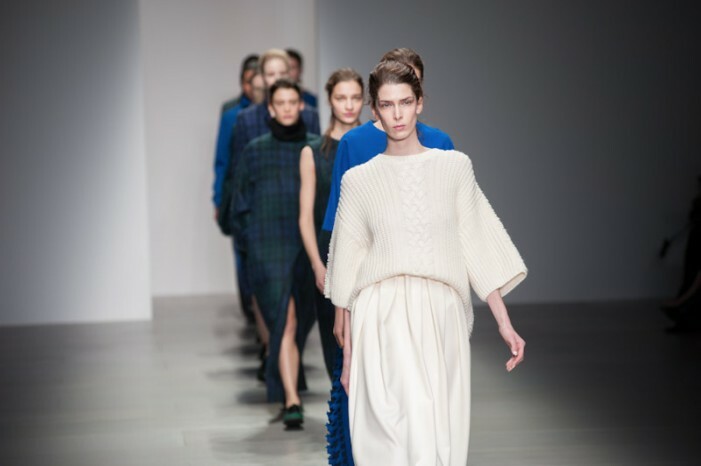 Korean-born Newgen designer Jackie JS Lee kicked off London Fashion Week with a collection inspired by the great English countryside. 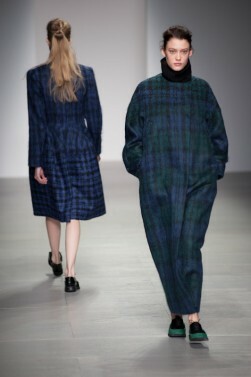 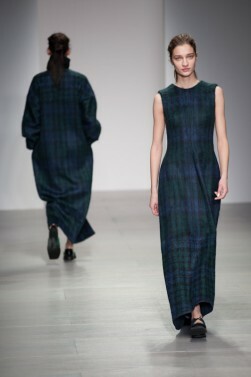 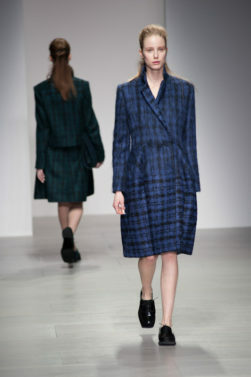 With focuses on comfort and warmth, classic heritage fabrications of wool and brushed tartan mohair were used throughout. 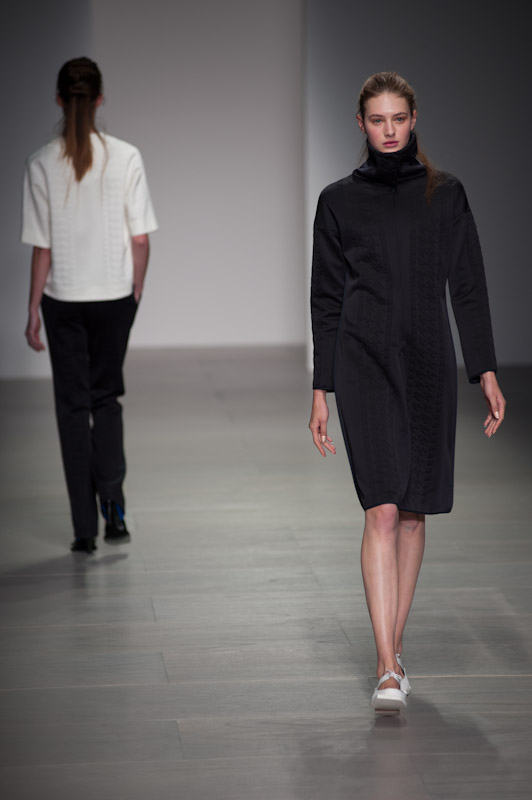 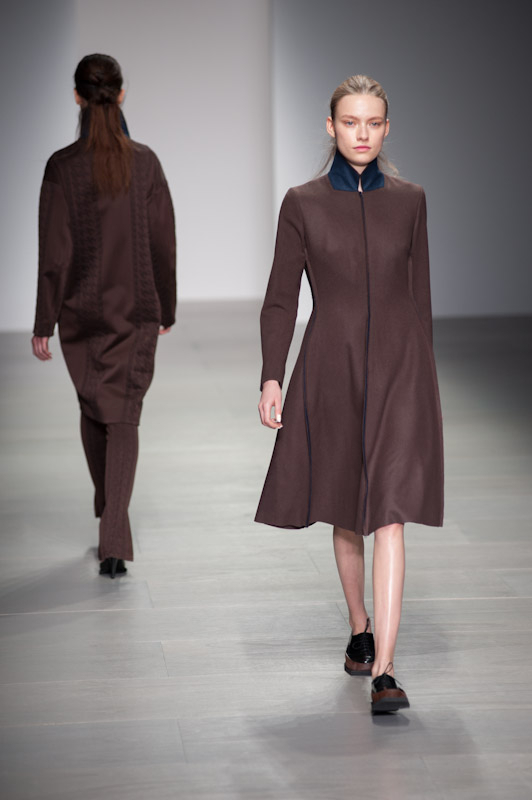 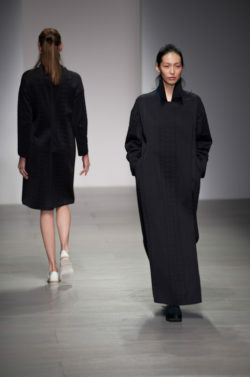 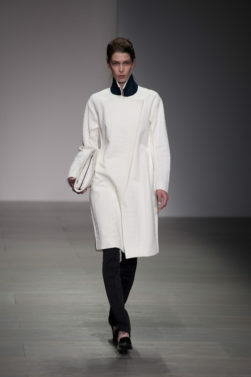 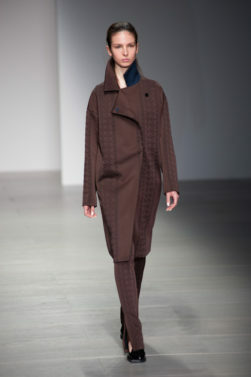 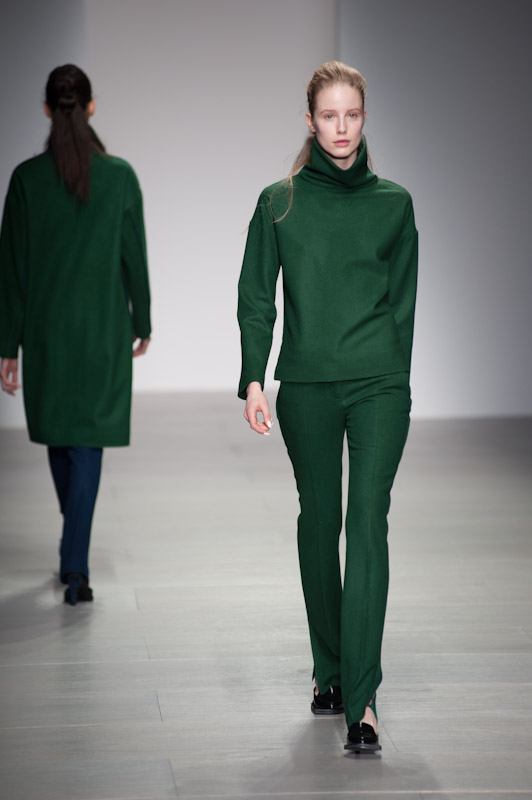 Oversized roll necks with square tailoring illustrated Lee’s signature aesthetic – minimalist, modern and incredibly wearable. 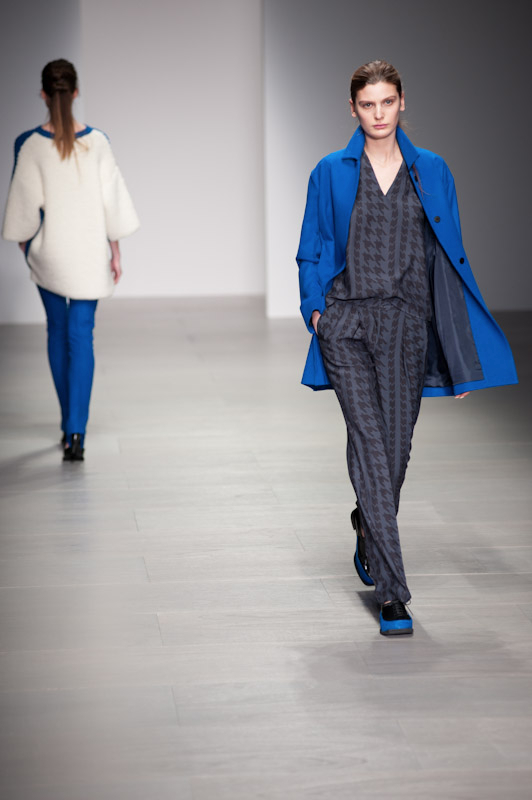 In a military-inspired, British palette of grey, white and navy, the collection brings attention to the dire state of our beloved countryside. 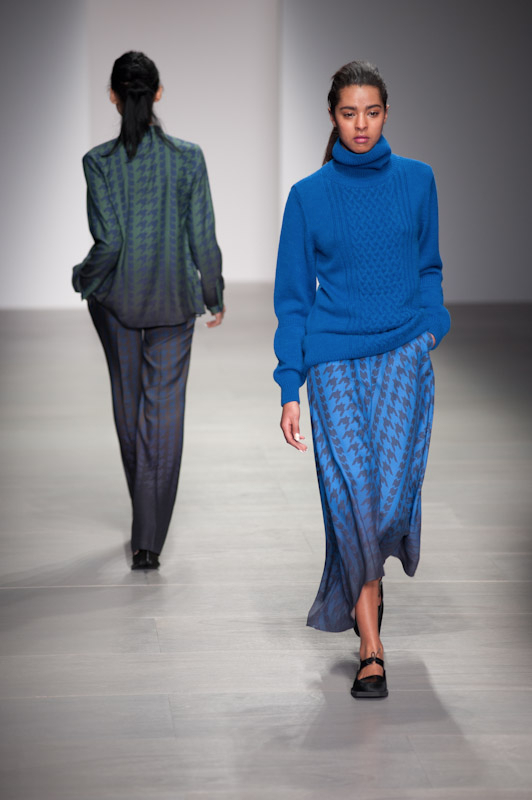 Colour blocking has made a comeback – this time in the form of knits and loafers where romantic pops of royal blue and forest green represent hope in such uncertain times. 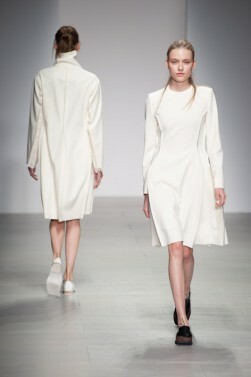 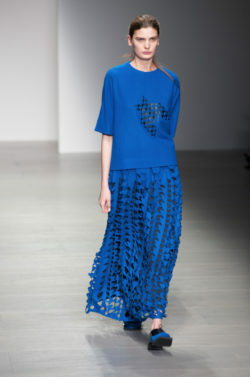 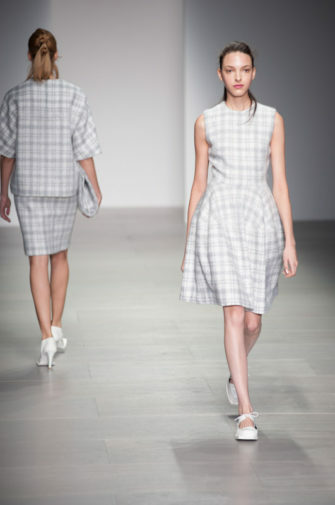 Silhouettes drew from the 20s and 50s through A-line and mermaid skirts worn at a modest knee-length. 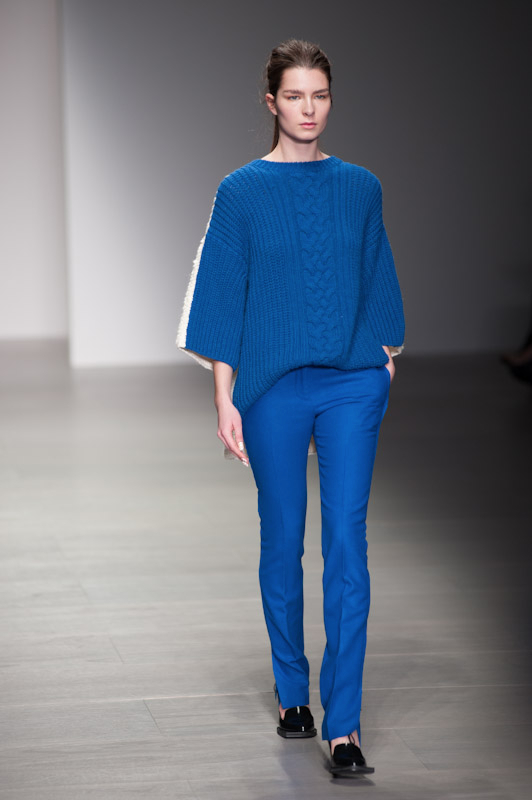 The head-to-toe monochromatic looks were a definite highlight and we loved the slit detailing of the trousers. Following her spring/summer 2013 collection of pinks and underwater hues, it’s no surprise to find J JS Lee right on trend once again. 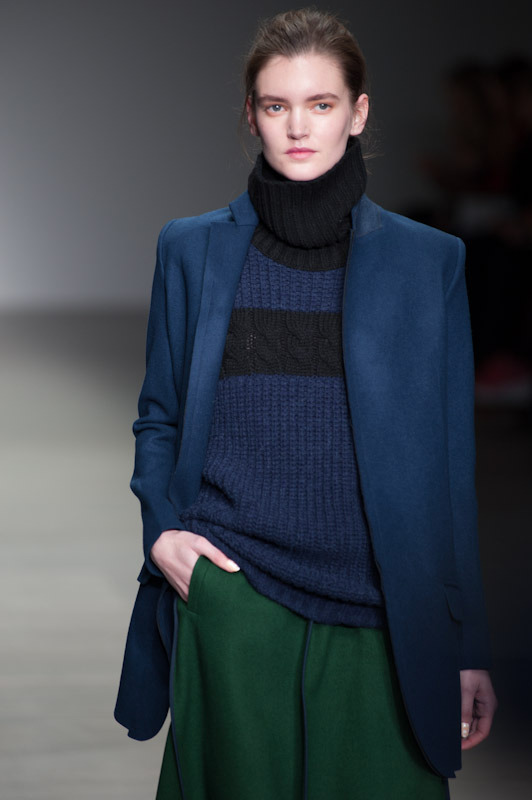 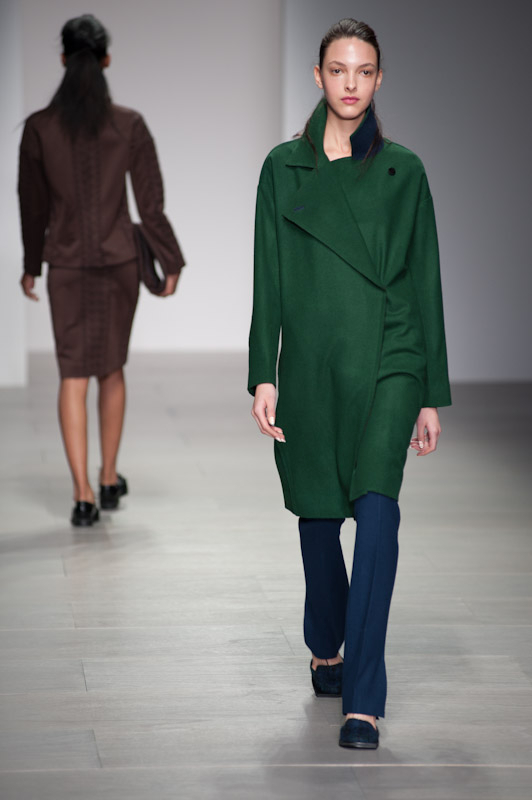 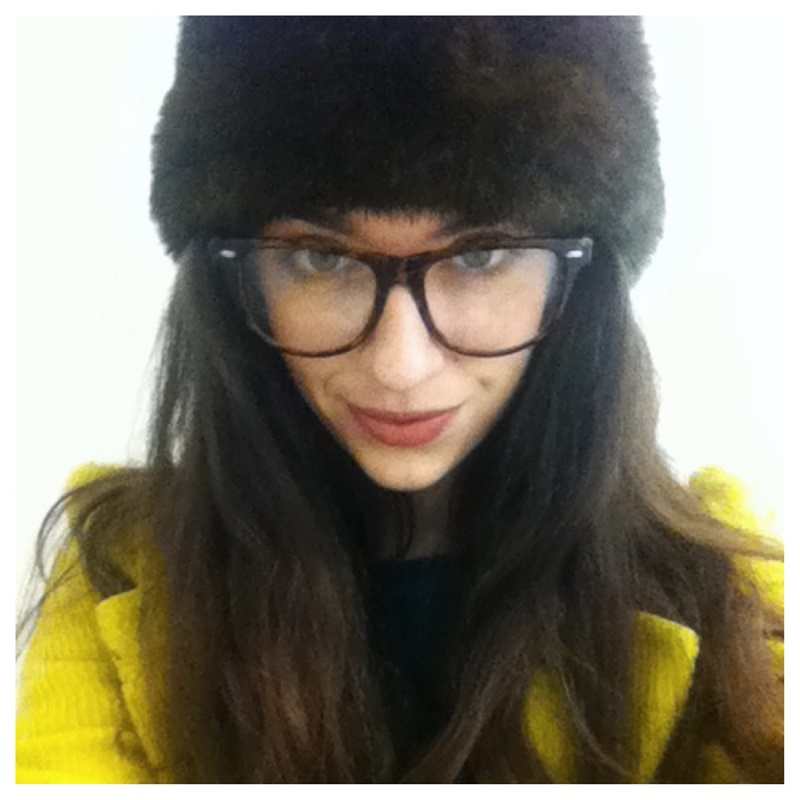 Autumn/winter draws from a more traditional source by celebrating British elegance through texture and colour.